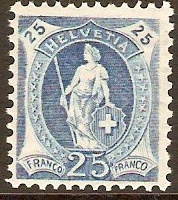 Switzerland 1905 15c Blue. SG220. Unmounted mint 1905 15c Blue. SG220. 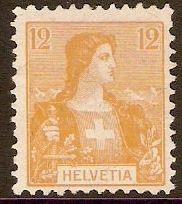 Switzerland 1907 2c Olive-yellow. SG225. Mounted mint 1907 2c Olive-yellow. SG225. 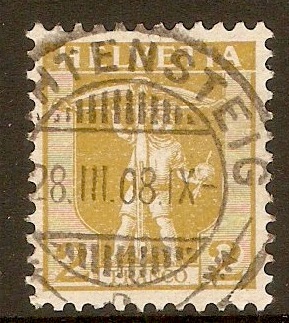 Fine used 1907 2c Olive-yellow. SG225. Switzerland 1907 3c Cinnamon. SG226. Mounted mint 1907 3c Cinnamon. SG226. 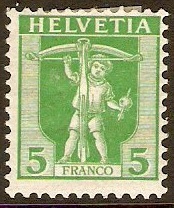 Switzerland 1907 5c Green. SG227. Mounted mint 1907 5c Green. SG227. Fine used 1907 5c Green. SG227. 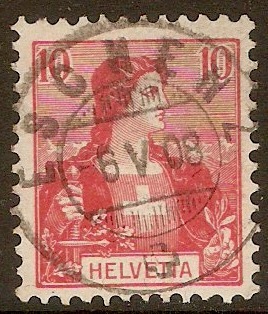 Switzerland 1907 10c Rose-red. 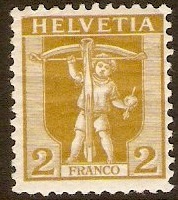 SG228. 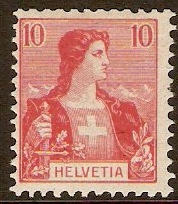 Mounted mint 1907 10c Rose-red. 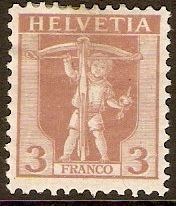 SG228. Fine used 1907 10c Rose-red. SG228. Switzerland 1907 12c Ochre. 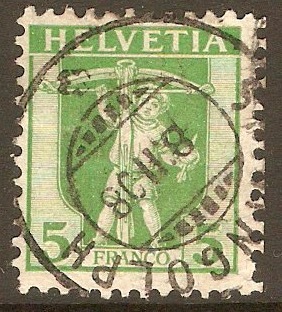 SG229. Unused 1907 12c Ochre. SG229. No gum. 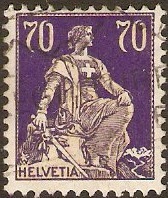 Switzerland 1907 15c Mauve. SG230. 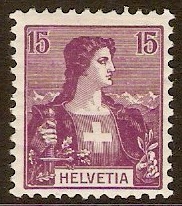 Mounted mint 1907 15c Mauve. SG230.